Throughout my life I have been committed to reconciliation. Both as an Aboriginal process and as a broader construct which aims to bring about greater understanding between Aboriginal peoples and wider society. While much of my energy has been primarily focused on the healing of our people, I have continually worked to share cultural knowledge in all manner of forums with wider society. Speaking and lecturing, dance, storytelling and music have been the many forms I have used to bring about shared understanding. The release of my new CD is an extension of this work. Central to all my endeavours is recognition that culture provides a touchstone for Aboriginal wellbeing and that contained within our cultures are values, which have universal relevance and meaning. This perspective not only emanates from the years of experience I gained both domestically, through work with the Doonooch Self-Healing Centre, but also internationally through discussion with other indigenous leaders, elders similarly seeking the revitalisation of culture. Maori academic Linda Tuhiwai Smith, and other researchers such as Kayleen Hazlehurst working in Australia, join a newer and growing literature which evidences the benefits of addressing the negativity of indigenous identity through revitalisation of culture, and stress the need for indigenous peoples self expression and ownership of these processes. The new CD is about respect, of others, and us and for our Mother Earth. As with all 'songs' the 'song lines' - there are levels of interpretation. The metaphysics of this continent has its own memory of language and imagery. 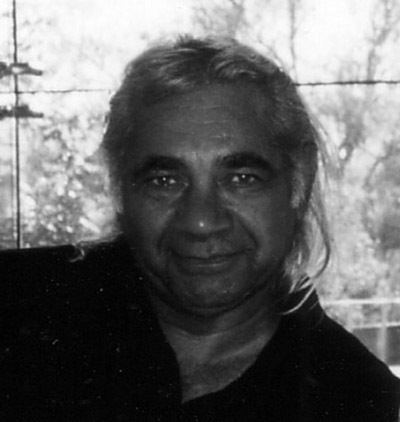 These songs seek to introduce the listener to this realm through the poetry of the lyrics, and the mixture of traditional and contemporary musical instruments, which retain the values of Aboriginal cultural understanding. The use of poetry and prose was central to achieving this outcome. As people who have always been part of an oral tradition, and often those who may be amongst groups who are in the process of losing traditional language, English has become a medium of exchange and communication. Albeit that while the words used are the same, Aboriginal English sits within a different contexting, which requires another understanding and subtext. Prose and poetry have allowed me to use a language, which is both familiar and borrows European metaphors, which I have, contextualised and often reconstructed in order to express another cultural worldview and its values. The aim has been to shift the listener's consciousness to include the spirituality that imbues our way of understanding our place in the universe. A belonging that is knowledgeable of the interconnectedness of all life, and is relational as family and extended family to all life, which is birthed from the Mother, our Earth. While these songs draw on my people's oral tradition, their meaning and the cultural values they illuminate are consistent with other indigenous teachings. They seek to explain the way in which we relate and think about country. At a deeper level they speak of the sanctity of our global home. In these times of rapid globalisation and technological chemical modernity, there is an increasing need for all people of the world to understand how to balance themselves and appreciate the vital importance of the diversity of life, of ecosystems, species and cultures, of languages and knowledge. Music plays an important role in opening our minds to the meaning and beauty of life, while amplifying the realms in which they think about themselves and the world they live in. Monero Peoples, South Coast NSW.